The plans for Unity One 2011 have begun and the feeling of excitement is tangible. The team is excited to see what God will do this year as we expand ourselves and, hopefully, challenge the body of Christ to view multicultural worship in a new way. What should you expect at the next Unity One on March 19th? The primary thing would be worship; saturated, anointed, unified worship. 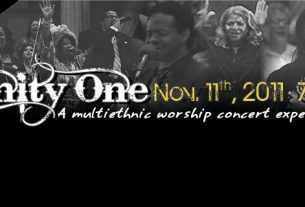 For this Unity One Worship Concert Experience, worship songs from India, America, & Nigeria (to name a few) are being prepared. So, come ready to worship! Part of the heart of Unity One is to not only sing about worship, but also live worship through our actions. 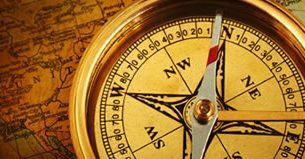 How can we serve our community of believers locally, regionally, and globally? We know from scripture that every part of the body of Christ is necessary, so as we enable the ministry of others, we also enable the ministry that has been placed in our hands. For 2011, Unity One will be presenting many resources and opportunities for you that will enable you to give to the body. Remember, you can give in many ways! As Unity One continues it’s mission, we are excited about the doors of fellowship that God continues to open. We will be expanding these opportunities of fellowship for those with an interest in multiethnic ministry. Unity One 2011 is already shaping up to be exciting and we hope to see you there! Also, please remember to share Unity One with your pastors, friends, and on your social networks.